As you all know that SSC has declared the result of SSC CGL 2017 Tier 1 examination. 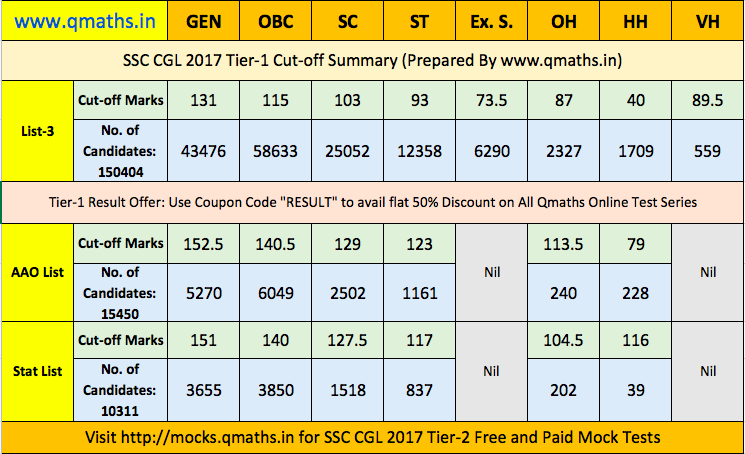 In this post we are sharing The Cut-off of SSCCGL 2017 Tier-1 examination. You may download the image below.